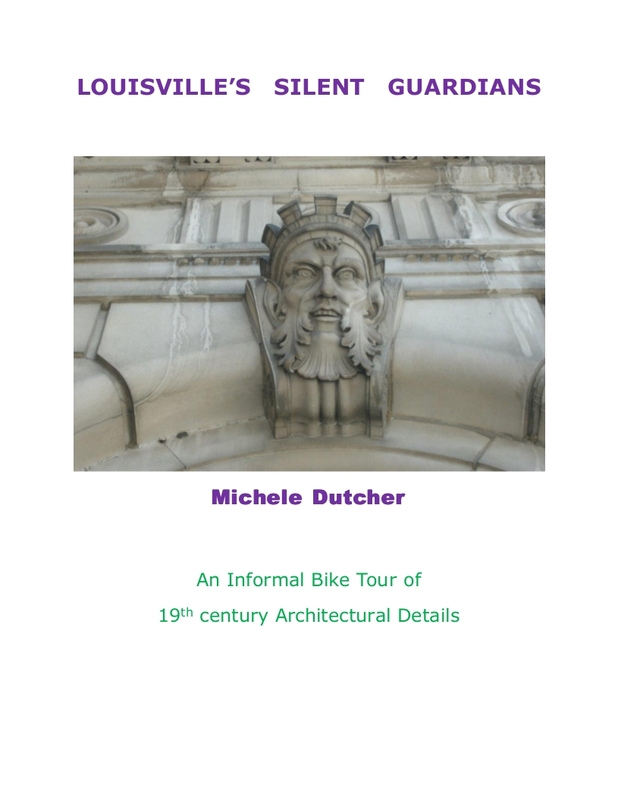 An informal bike tour of 19th Century Bas Reliefs in the Louisville Area. They�ve been up there watching for over a century. They�ve seen generations go about their daily business � being born, living, dying. They were born themselves during the dawn of Louisville�s commerce in the late 1800s � and more were added until Black Friday 1929 brought the curtain down. Now many are forgotten, watching silently over abandoned doorways and rooftops. They wait patiently for someone, sometime to look up and see them there. Within these pages you�ll find: Greek gods and goddesses; fierce dragons; comic jesters; lions; doves; Pegasus - and gargoyles ready to take flight and pounce upon anyone who would disturb their neighborhood�s peace. There are even homeowners and builders who once dared to place their images up there among the gods and mythic characters. This book is dedicated to taking time out of a busy day to simply look up. Early on this house was known as "Conrad's Castle." It is one of the most magnificent Old Louisville homes and defines Richardsonian Romanesque architecture. The building price in 1894 was $35,000. Walk around it and enjoy its gargoyles, lions, mysterious beasts and fleur-de-lis. I counted 23 faces. The Caldwell family purchased it in 1905 after Mr. Conrad's death. The St. James Court Association purchased it in 1987.